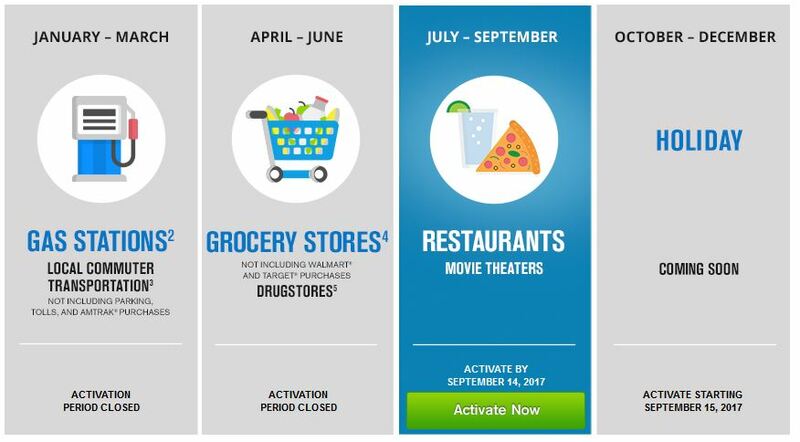 Chase has announced the 5x bonus categories for their Freedom credit card for the third quarter of 2017. As I figured, Restaurants are on the list as are Movie Theaters. I hate that both the Chase Freedom and the Discover cards have the same bonus category in the same quarter. C’mon banks, help us out! Using your Freedom card at Restaurants and Movie Theaters will earn 5 points per dollar spent, up to a max of $1500 spent. While Chase bills this as 5% cash back – and you certainly can use it as cash back – you can make those points worth more than a penny apiece. If you have the Sapphire Preferred, Sapphire Reserve or one of the Ink business cards that charge an annual fee, you can transfer these points to several airlines or hotels, where you can get more than 1 cent in value for the points. For example, points can be transferred to United Airlines. I’m currently looking for airfare for a Colorado ski trip in February, which is prime season. I’d prefer to fly into the Vail/Eagle County Airport instead of making the trek from Denver. But right now airfares are in the $590 range. If I could find an award flight for 25K miles I’d be getting 2.3 cents in value for each point. Registration is now available. You have until September 14th to register, but why wait? Click HERE to reach the calendar page.